(By Jennifer Chou/New York) September 21 is the International Day of Peace proclaimed by the United Nations. This year’s theme is: “Together for Peace: Respect, Safety, and Dignity for All.” UN Secretary-General Antonio Guterres said, “Yet there is more to achieving peace than laying down weapons. 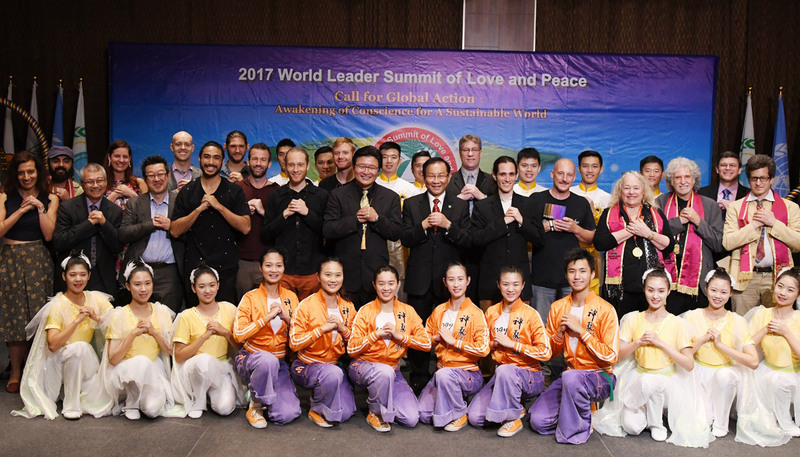 True peace requires building bridges, combating discrimination and standing up for the human rights of all the world’s people.” On this special day, the Federation of World Peace and Love (FOWPAL) hosted another function in the series of events titled “2017 World Leader Summit of Love and Peace, Call for Global Action: Awakening of Conscience for a Sustainable World” in New York. 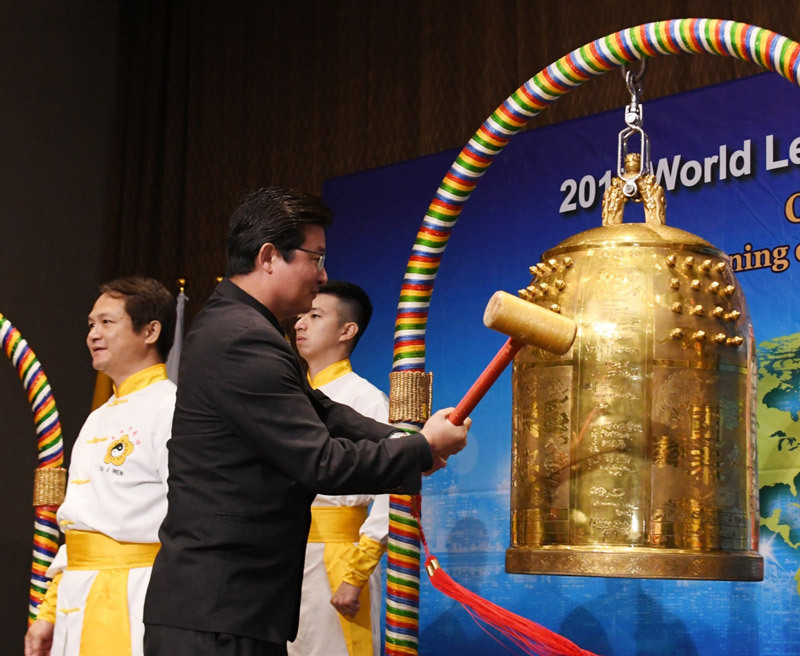 At the event, a deputy UN ambassador rang the Bell of World Peace and Love and made a wish for peace. 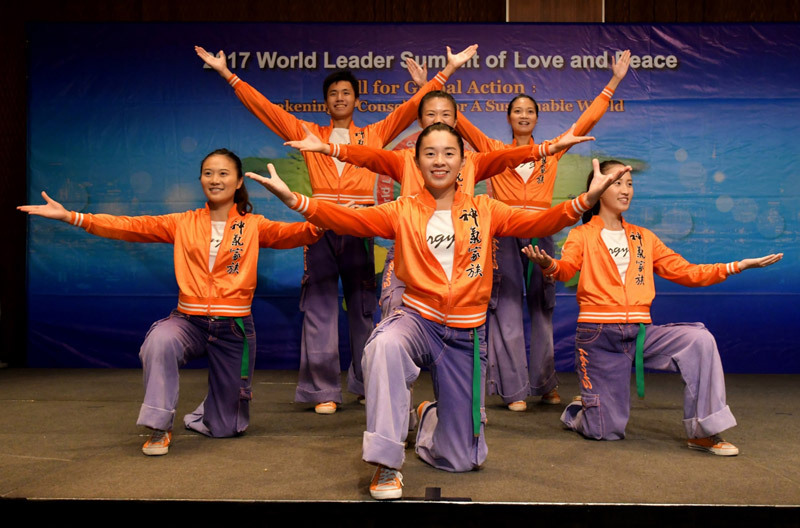 Additionally, in the forms of giving speeches, singing songs, and reciting poems, NGO delegates advocated that love and peace are the very foundation for a sustainable world. President of FOWPAL, Dr. Hong, Tao-Tze, presented a thesis titled “Realizing Peace and Security, Human Rights, and Development upon the Foundation of Conscience.” In his thesis, Dr. Hong stated, “World peace has become an even more distant goal to reach in today’s geopolitical situations, and humanity and the Earth are like at opposite ends of a tilting scale that has an increasing possibility of falling apart. However, we will hold onto any chance for change as long as there is still hope. The common destiny of humanity will be improved only if we act now for change.” Conscience is at the core of the three founding pillars of the UN system: peace and security, human rights, and development. By gluing the three pillars together, we can find new ways to solve international conflicts, added Dr. Hong. A FOWPAL volunteer and a freshman at the University of California, Berkeley, Melissa Wu said that in 2014, FOWPAL initiated a movement called An Era of Conscience, and she is one of the volunteers for the movement. She has been to India to attend the International Conference of Chief Justices of the World to share her ideas with the chief justices attending the conference. “To me, sharing the message of the Movement of An Era of Conscience is like planting the seeds of conscience in every justice’s heart. 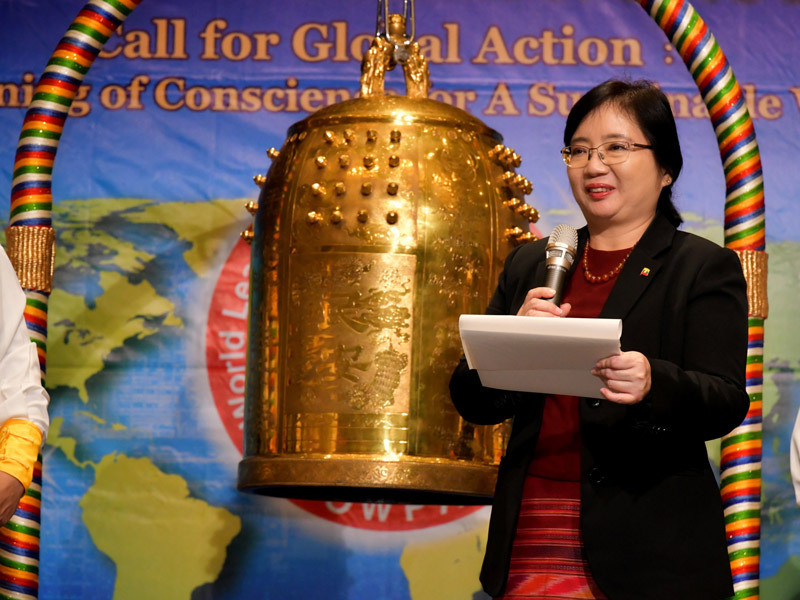 When they return to their countries, the seeds of conscience also got spread over to every corner of the world, and the justices will safeguard their conscience in their daily activities,” said Melissa. She believes that this butterfly effect can affect not only the justices but also the people of their nations because the jobs of the justices are to protect the rights of their people.